I have never covered a wreath in flat fabric because I am pretty sure I would never have been able to get the fabric to lay straight. But Kim shows you how with her tutorial for this duck cloth Spring wreath. Now the possibilities are endless. Not to mention I am in love with the bucket handle she used to hang the wreath too! 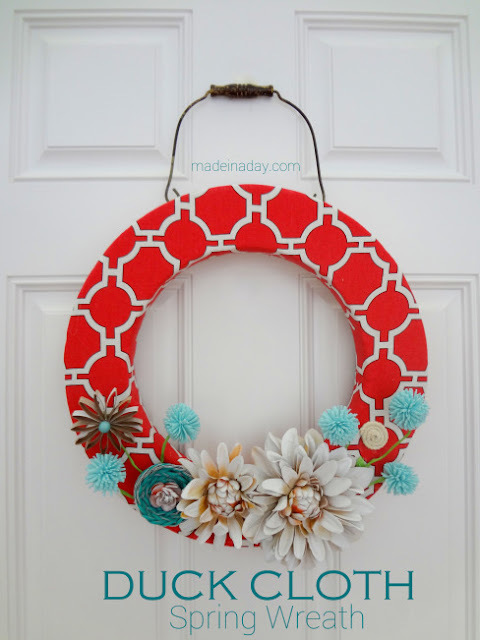 You can check out how to cover a wreath in fabric over at Made In A Day.